In some cultures, humility is associated with being weak, passive, unassertive or insecure. But true humility is not about being meek or timid; it is actually a positive character strength that can benefit you in many ways. Being humble is about being in sync with your weaknesses and strengths, and knowing your limits. Humble people don’t feel the need to boast about themselves, but instead, prefer to let their actions speak for them. They put others first in their thoughts and deeds, and are not narcissistic. Author Rick Warren said, “Humility is not thinking less of yourself; it is thinking of yourself less." Humility is thinking more of others. We are not born humble. It is something that requires effort and can be learned. 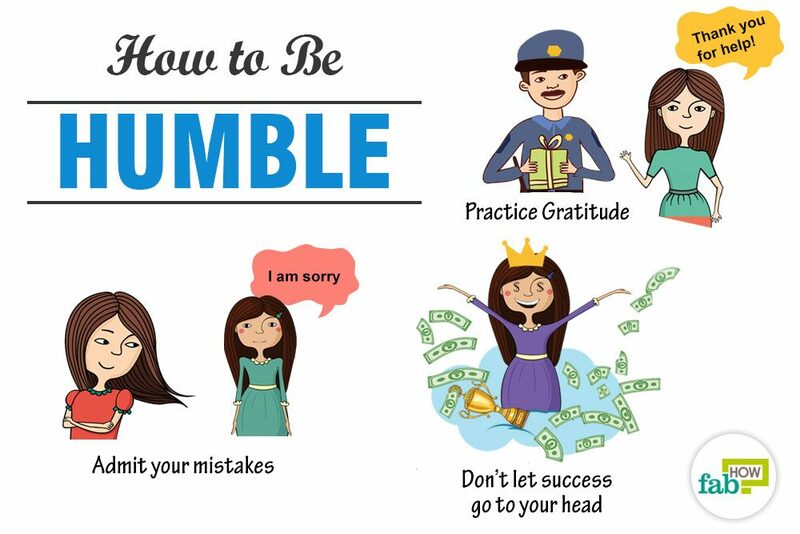 Put some of these traits in practice to be humble. Practice gratitude. 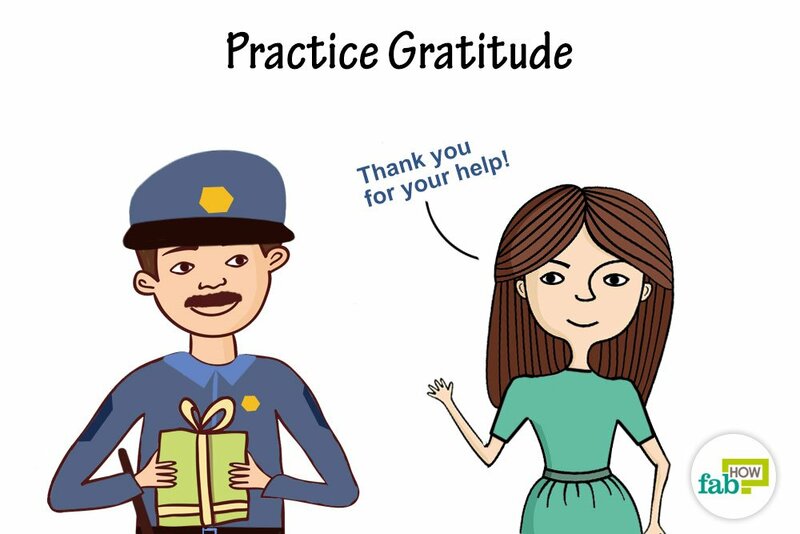 Gratitude can make you less self-centered and let you focus on things around you. Thankfulness stops pride from growing, thereby making you more humble. Be thankful to people. Expressing gratitude can encourage humility. Humble people often convey greater gratitude. Everyday, thank God for one thing for which you are grateful. It might be something in your child, your spouse or your work. This kind of thankfulness will help you become more humble and also help you build a closer relationship with God. Accept your shortcomings and work on them. If you feel you are less successful or less knowledgeable than others, be thankful for this perspective and for learning what your shortcomings are offering you. Every challenge you face helps build your character and assets. When you are grateful for your challenges, they lose their power and instead become your building blocks for growth. Accept new ideas and change. Humble people always feel that they know little and have much to learn. They are perpetual learners and are not ‘know-it-all’ types. They love to gain knowledge from others and look forward to learning opportunities. They observe other people and learn from them. They see every day and every interaction as an opportunity to learn something new. Avoid acting stubborn or getting defensive when someone is trying to teach you something. 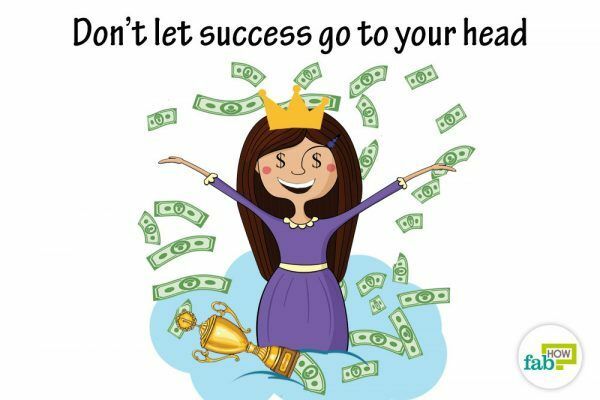 Don’t let success go to your head. Being humble can make you more grounded in reality, remembering that success is temporary. Don’t spend all your time with people who simply stroke your ego or say nice things. Instead, cultivate relationships with people who will offer you genuine feedback. Treat everyone equally. Humble people are kind, attentive, courteous and respectful to everyone they meet. They treat every person with the respect and dignity they deserve. Don’t evaluate people by their status or position. When you respond to people with compassion and humbleness, you will find that they want to spend more time with you. Practice kindness without looking for credit. Humble people are more willing to help people and share their knowledge with others. They find joy in helping others succeed and grow. They are not worried about being right and being at the top position. Look for reasons to help people. Donate money without talking about it, help crowdfund a project, buy food for a needy family or donate money to a charity. When you practice kindness without seeking anything in return, you are practicing humility. You validate yourself without boasting. By serving others, you step closer to your inner self. Appreciate others. Recognize other people’s achievements and publicly give them credit for it. By doing this, you are showing your appreciation to them. Offer to help others improve their ideas and allow all the credit to go to them. Release the need for your own recognition, or to be in the top position. Don’t be judgmental. Stop yourself from making sweeping judgments about others even before getting to know them. Humble people are not judgmental; instead, they are compassionate and kind. Make an effort to know the person and understand them. Observe your thoughts to notice when you are being judgmental. Instead of judging someone for his actions or his looks, try to understand the person first. Put yourself in his or her shoes, and then consider the circumstances. Once you do this, you’ll be better able to accept people the way they are. Accept criticism. Humble people do not fear criticism. Being willing to take an honest look at your weaknesses will help you grow. Constructive criticism opens you to new ideas and perspectives. Humble people take it as an opportunity to learn and improve. When your work is criticized, notice your first reaction. Remember the benefit of getting good feedback and listen to the person carefully. Focus on understanding the feedback rather than analyzing. If you are unable to understand the issue, ask questions. Avoid engaging in a debate; rather acknowledge the feedback and thank him for it. Admit your mistakes. 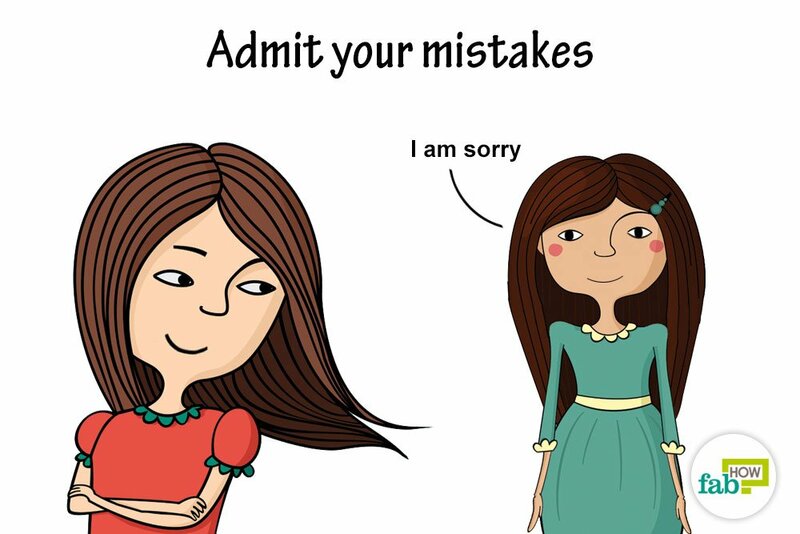 Humble people are quick to apologize and take responsibility for their mistakes. It’s one of the toughest things to do, but the more willingly you do it, the closer it will take you to humility. Plus, this is a great leadership quality. If you make a mistake at work, own it. Tell your boss that you made a mistake and you are sorry for it. Tell him that you are aware of the impact of the mistake and that you are taking steps to ensure that it doesn’t happen again. Accept the individualism of others and yourself. Know that everyone is unique and it is this uniqueness that lets people grow and learn from each other. There is no need to conform. When you compare yourself to others, it makes you less aware of your qualities and skills. Laugh at yourself. Learn to laugh at yourself. Don’t take yourself too seriously. Nobody is perfect. Laughing at yourself makes you swallow your pride. When you laugh at yourself, you are indicating that you can be wrong and you accept that you will make mistakes. It conveys that you are not keeping a façade of knowing everything, and you are genuine. You are showing that you are more real. It helps you to keep going in life. Laughing at yourself indicates that you have an optimistic personality and a good sense of humor. Don’t complain. You won’t hear humble people complaining much. They are always happy with what they have. It is okay to whine or complain at times when the going gets tough, but you shouldn’t make it a habit. Realize that there are many people who are much worse off than you. Complaining will prevent you from focusing on the positive things in your life. When you get hurt, communicate it to the person. You may often think that humility is about moving on when you get hurt without doing anything about it. It is easy to keep all the anger inside when you get hurt. But when you acknowledge that you got hurt and then say you will try to let it go, it makes things easier for you and the people around you. This will help you develop an honest and nurturing relationship with others. Forgive. Forgiving people who have hurt you, whether in a small or big way, can be a difficult thing to do. Forgiving requires more humility. Humble people don’t count or keep a record of wrongs done to them; they move on without revenge and are aware that forgiving creates healing. Forgiveness will relieve you of burdens carried in your heart for so long, allowing you to sleep better, and your mind will be free to rest in a more positive place. Meet the person who has hurt you and forgive him or her. If you aren’t ready for a face-to-face conversation yet, imagine that person and say “I forgive you” to yourself every day. Avoid bragging. Humble people don’t count good deeds done towards other people. 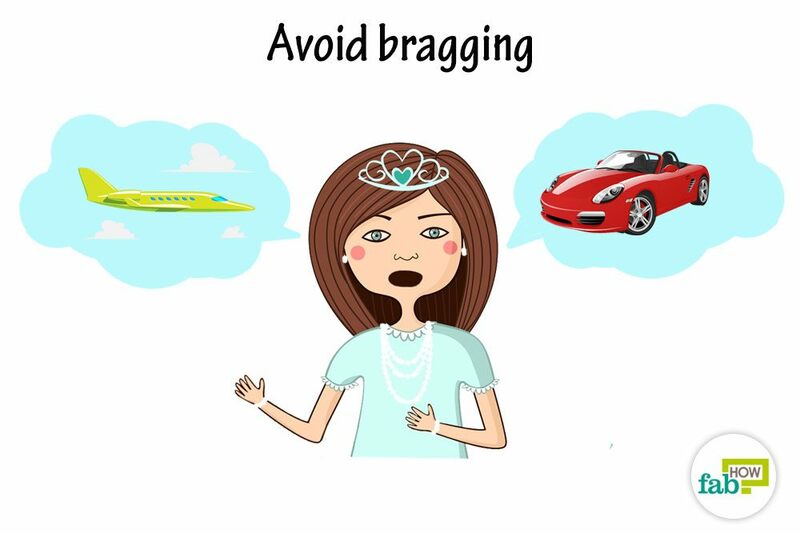 Try to curb the urge to brag or show off. 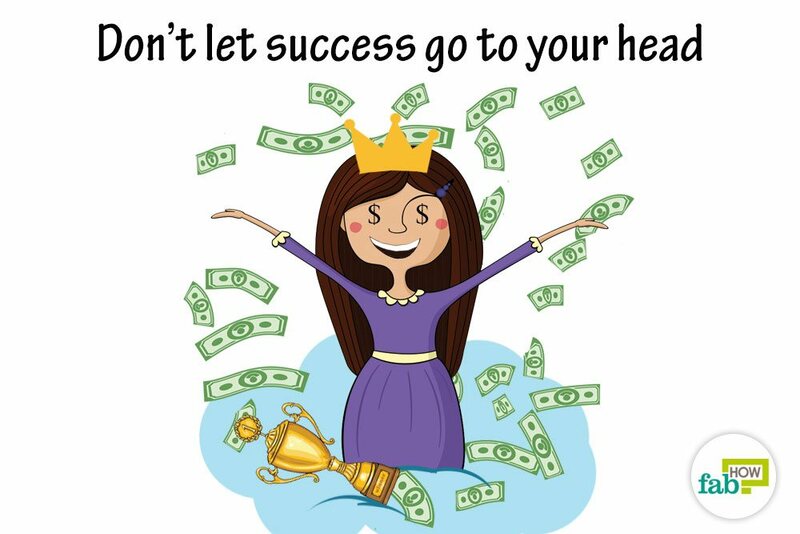 Avoid showing off your own good deeds, accomplishments, talents, or skills. Recognize your talents as gifts and not entitlements. 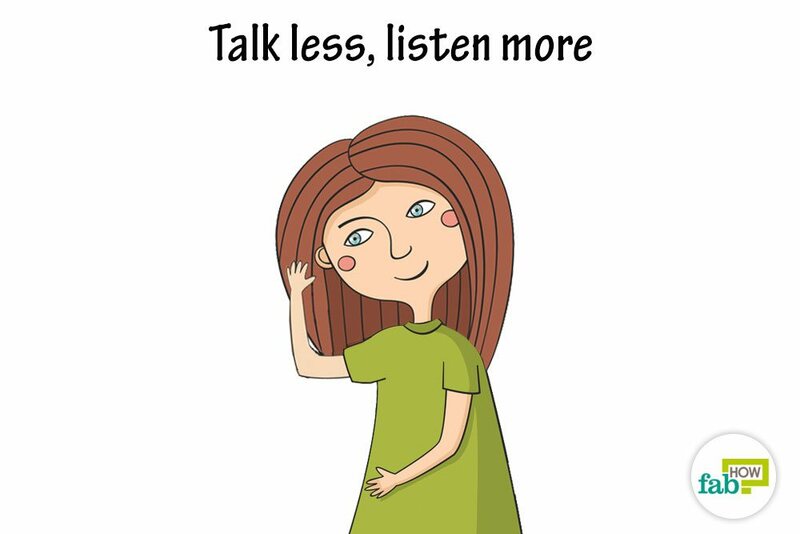 Talk less, listen more. Humble people listen to others in a conversation. They don’t try to dominate. They don’t interrupt or add corrections, even if the other person is wrong. They are curious listeners who are eager to understand other people’s viewpoints. They are genuinely interested in what others have to say. Humble people seem wiser because they listen more intently and do not speak without thinking. When listening, don’t be distracted thinking of the next thing you are going to say. 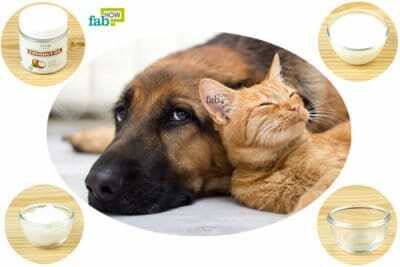 When you attentively listen to someone, you are telling the other person that his view is important to you. Count to 5 before adding to a conversation to make sure the other person is done. Ask questions. Despite what others think, asking a question doesn’t make you look less knowledgeable or uninformed. Instead, you will notice that people might be eager to help you, to teach you what you don’t know. Humble people dive deep into the minds of the people they are talking to. They ask questions and are genuinely interested in what the other person is saying. The next time you are in a meeting, at a seminar, or in any group, don’t be afraid to ask questions. Seek help when needed. Admit when you don’t understand or know something. Humble people understand that no person has the answers to everything. So, they do not think twice before seeking help. They are willing to learn and become better. Embrace acknowledgment. Let people know that you consider it a pleasure to receive the gift they are giving you – whether it’s a compliment or a gift. At times, it’s embarrassing to accept compliments, or you may feel deflecting compliments is humility; but it’s actually rude to the giver when you don’t receive their gift. No matter how uncomfortable it is for you, say a simple “Thank you.” Don’t elaborate or talk at length about it. Be free of expectations. Humble people do not have expectations of anything or anyone. No matter what you do, life will produce unexpected outcomes. Humility makes you grateful for whatever happens. Humble people serve others with no expectations. Speak your mind. Humble people are not afraid of speaking their minds, as they do not fear to be wrong. They have the courage to face difficulty. Choose to act more humbly each day. Practice at least one humble act every day. The act of choosing or simply being willing can greatly enhance the learning curve. Soon humility will feel like the natural choice. Learn and model the life of humble leaders. There are many humble people around us – some are well known, and some are everyday heroes. The lives of great leaders like Gandhi, Mother Teresa, Buddha, Martin Luther King Jr., and many more, can serve as examples to follow. Huizinga R. An Understanding of Humility-Based Leadership Impacting Organizational Climate. Emerging Leadership Journeys. http://www.academia.edu/34365187/An_Understanding_of_Humility-Based_Leadership_Impacting_Organizational_Climate. Nielsen R, Marrone JA. Humility: Our Current Understanding of the Construct and its Role in Organizations. International Journal of Management Reviews. https://onlinelibrary.wiley.com/doi/epdf/10.1111/ijmr.12160. Published January 8, 2018. PARK NANSOOK, PETERSON CHRISTOPHER, SELIGMAN MARTINEP. Strengths of Character and Well-Being (1). Journal of Social and Clinical Psychology. https://www.coursehero.com/file/14831564/Strengths-of-Character-and-Well-Being-1/. Wright J, Nadelhoffer T, Perini T, Langville A, Echols M, Venezia K. The psychological significance of humility. The Journal of Positive Psychology. https://www.tandfonline.com/doi/abs/10.1080/17439760.2016.1167940. Published April 2016. Beautiful informative article,love every word ,if we follow these and practice a little every day we can be a better human being and make this world beautiful .All these people mentioned here were great personalities I would love to add couple more like Abdul Sattar Edhi and Prophet Mohammed S A W.? Great article! It has helped me so much and now inspired me to write my own version and a book! Humility is like a muscle. The first time you hit the gym, your muscles are going to be very sore. In fact, there will come a day, as you go through your daily workout schedule, that your muscles are just screaming out. That’s the precisely the point in time where you need to keep going to the gym because once you get past that excruciating stage, the pain goes away. In other words, muscles grow when you put pressure on them. They develop when you challenge them. The same applies to your ego. When you’re trying to develop humility, what you’re trying to do is to reshape your ego. Believe me, your ego is going to fight back the first few times you put pressure on it. It’s not used to it. It’s not accustomed to distress. But the more you go through the steps I briefly described above, the more your ego gets used to it. It develops “muscle memory.” Its shape, its resistance, its tone changes because of the stress and pressure you put by following the steps above. You have to keep practising humility, otherwise, just like muscles, they start getting soft. They become weaker and weaker until you get back to where you started. Thank you for your comment. It makes us filled with gratitude to see that we have touched so many lives spreading positivity.